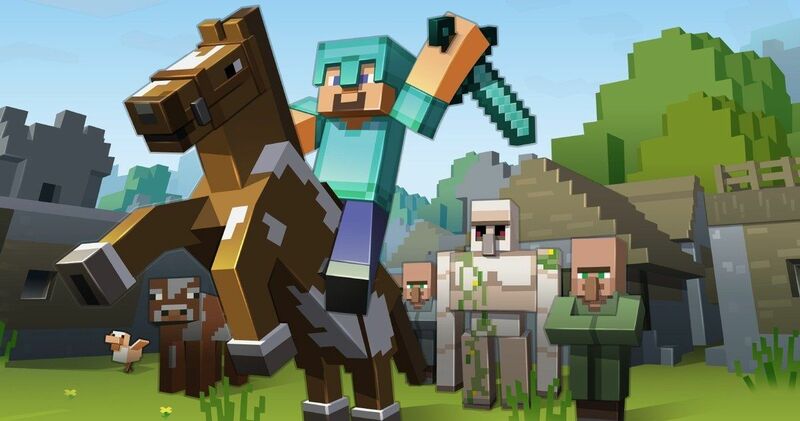 The Minecraft movie has new life as Peter Sollett has signed on to direct the video game adaptation for Warner Bros. This particular project has been gestating for some time, as the studio first gained the rights to the wildly popular video game in 2014. Since then, it’s proved to be a tricky egg to crack, but now they have a new creative mind on the case that may be able to finally get this movie moving in the right direction. According to a new report, Peter Sollett, who, on the movie front, most recently directed 2015’s Freeheld, had been brought on to both write and direct Minecraft. The writing is particularly important, as it sounds as though he may be starting from scratch. At the very least, Sollett is going to be doing a fairly significant rewrite, which means we’re not likely to see the movie start filming any time terribly soon. But this is still a positive step forward for those who want to see some 3D blocks brought to life on the big screen. Peter Sollett came onto Hollywood’s radar in a big way with his acclaimed 2002 drama Raising Victor Vargas. It would be six years before he would direct another feature, which was 2008’s Nick and Norah’s Infinite Playlist. He’s also directed some episodic television, including Rise, Vinyl and The Path. Should things work out and Sollett does in fact wind up directing Minecraft, it will be far and away his biggest project to date. Warner Bros. sees this as a potentially major franchise, given the game’s massive popularity. To date, more than 154 million copies of the game have been sold worldwide, so there is very clearly an audience for this movie. The story is said to center on a teenage girl and her unlikely group of adventurers who must save their beautiful, blocky Overworld after the evil Ender Dragon sets out on a path of destruction. Shortly after Warner Bros. acquired the rights in 2014, they tapped Shawn Levy, who had directed the Night at the Museum movies and is a producer on Netflix’s Stranger Things, to direct. Eventually, he moved on, paving the way for Rob McElhenney of It’s Always Sunny in Philadelphia fame to take the director’s chair. However, he also departed the project late last year, which paved the way for Peter Sollett to get the gig. At one point, Steve Carell was being eyed for a role in the movie, but due to scheduling issues, he’s since moved on. At this point in time, there are no confirmed cast members, nor is it quite clear when filming could begin. Roy Lee and Jon Berg are on board to produce, with Jon Spaihts set to executive produce. The video game’s developer Mojang will also be involved in the production. The late Jill Messick, who passed away last February, also remains a a credited producer. We’ll be sure to keep you posted as more details on the Minecraft movie are made available. This news was first reported by Variety.